The Kalanga traditional practices, culture and ethnics is not lost in its people even if they reside in the diaspora where they are deeply engulfed by other cultural groups and ethnics. This was evidenced by the scores of people that attended the recently held Kalanga Festival 2015. 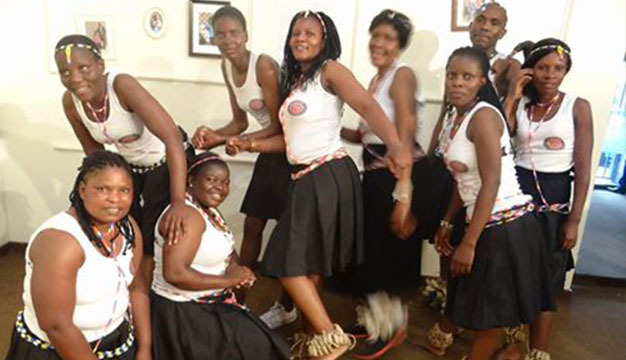 The inagural cultural festival hosted by Kalanga Language and Cultural Development Association (KLCDA) was held in Johannesburg, South Africa where it achieved a resounding success. 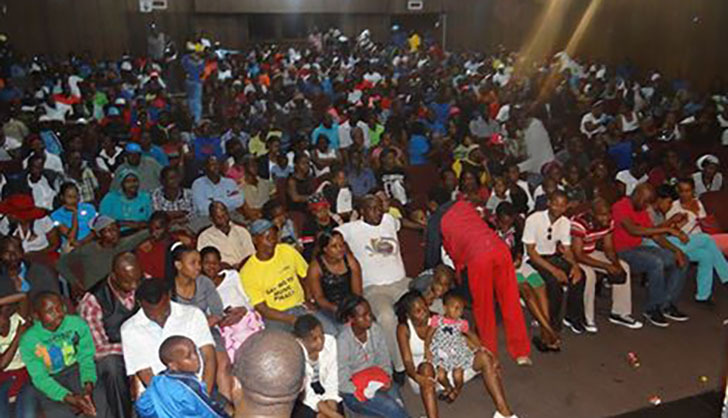 The event which was pencilled for the 24th of October 2015 at the Hillbrow theatre witnessed various groups of people, especially Kalanga people, Ndebeles and indegenous South African people flocking to the venue from all walks of life. The event showcased the narration of the illustriuos history of Bakalanga as well as the unique and entertaining Hosana dance, performed by the Bukalanga Gwamuka Traditional group, a dance which many thought had died a slow death, had people connecting to their being, and feeling that sense of belonging. The event saw a turnout of over a thousand people who filled the venue to the extent that it could not take in any more people. Over- flowing forced some spectactors to enjoy the show while on their feet. The show was meant to celebrate the Kalanga culture through song,poetry, dance, diversified traditional foods and even historical facts sharing. The event was themed “Celebrating our Language and Culture through Arts”. Kalanga Language and Cultural Development Association (KLCDA) have an active programme for mobilising resources for writing learning materials and therefore quite a significant amount was raised through sale of traditional foods, t.shirts, books, donations, raffle tickets and other related fundraising activities. Part of the crowd that attended the festival. In attendance was Ambassador Ngulani Mabhedi who was the guest speaker, The Poet Liverson Mdongo, Ntando Dumani the Executive secretary for KLCDA, popularly knowns as Hwehhu yeBukalanga, Mkhuleko Nleya, from Chief Masendu’s cabinet and many other senior dwellers of Bukalanga community. The entertaining line up that kept the audience on their feet included the energetic Bukalanga Gwamuka Traditional dance group, Mlambos Express, Allen Ndoda, Mawi Ebasumikili Gospel Group,Nkedile Super sounds,Dupute warriors, Bukalanga Express, Martin and Tjehanga Brothers, Ithemba leNsindiso Gospel group, the comic Madlela Skhobokhobo who left many with literally broken ribs with his humurous act, and many other artists from the Kalanga region. “Our target is to raise R60 000 to carry out the Kalanga revival projects up to the point of being able to distribute kalanga books and study material to schools because we want to distribute the books for free to selected schools. As the organisers of the event we will convene a writers workshop before the end of the year where textbooķs writing will commence. We will continue to roll out programmes for fundraising but we are planning to start with what we have. We are further appealing to BaKalanga and other stakeholders to continue supporting the project until we realise our dream”.